There’s a debate going on among winter sports enthusiasts about what is best suited to deal with cold weather. Whereas most snowmobile owners prefer mittens, others opt for gloves. That said, you should keep in mind that mittens tend to be warmer since they are designed to keep the fingers together for purposes of promoting the generation of extra heat by the body. However, mittens are not altogether practical. In fact, they can be useless especially when you need to use your hands for such essential activities as driving your snowmobile or tying your shoes. Since riding a snowmobile is an active engagement, it follows that the wise option would be to go with the best snowmobile gloves. By so doing, you will receive the extra flexibility you need while still ensuring that your fingers are warm enough. 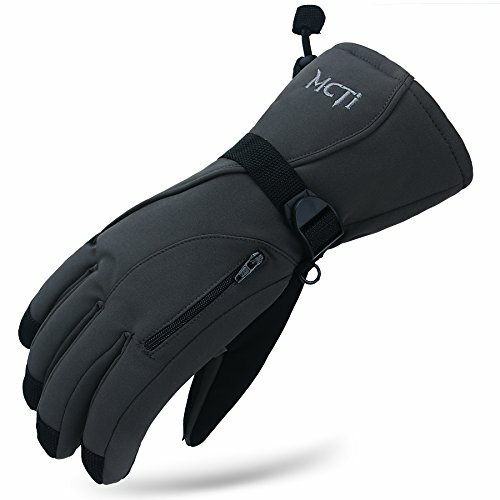 While shopping for gloves, you should try getting a pair that provides enough insulation for the intended use and the weather conditions in which you intend to wear them. Experts recommend that, to this end, you look for materials like wool, Thermoloft, and Primaloft. 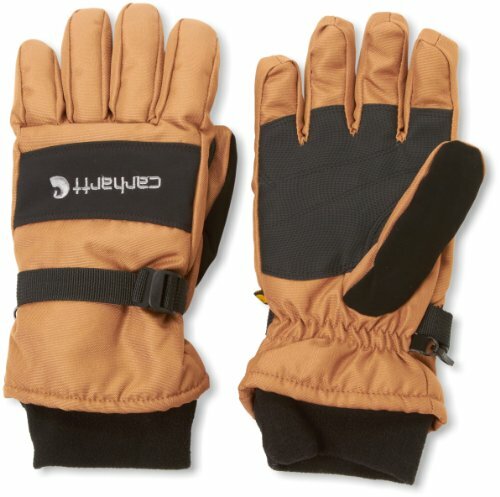 If the product description for the gloves you are looking at buying shows that the pair contains any of these materials, it is an excellent indication that the gloves are insulated. Seeing as how you will be using the best snowmobile gloves in wet and snowy conditions, you must ensure that you buy waterproof. If possible, look for gloves that have a Gore-Tex shell especially if you need top quality protection from water and moisture. Some snowmobile gloves have removable liners. This feature is great because you’ll get warmth control and be able to adjust the level of insulation you get from the pair you bought. In the same way, waterproof liners will work out well when you need to protect your hand. 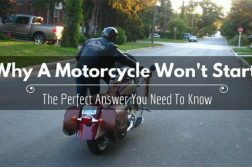 You can buy these liners separately – meaning that this will not make or break the deal as you go about shopping for the perfect snowmobile gloves. As far as possible, only buy gloves that come with synthetic palm or durable and tacky leather for better grip. The best snowmobile gloves are those that fit in your hands perfectly and snugly. To this end, you should ensure that there isn’t much room left in between the glove tips and the fingers. Properly fitted gloves will increase maneuverability, flexibility, and warmth. In the same way, you need to consider the design of the snowmobile jacket you will be wearing. 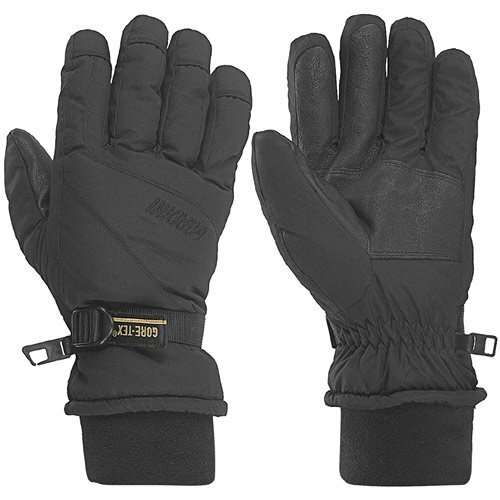 Then, buy gloves that are properly aligned and go with your snowmobiling wear. 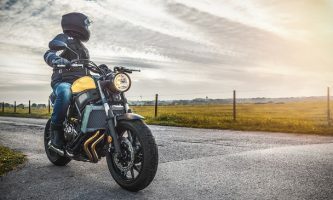 Since gloves intended for use with snowmobiles tend to go through tons of wear and tear as well as abuse, it follows that you should consider buying a pair that comes with annual or lifetime warranty. This strategy will help you ensure you only get gloves that will go over and beyond a single season. So, where should you go while shopping for the best snowmobile gloves? Amazon is one of the few places where you will get high-quality gloves at competitive prices. Further, the selection on Amazon is pretty enviable, and you get to enjoy fast delivery/shipping. Added to this, the quality assurance and return policies on this marketplace are reliable. Another option would be to check out a couple of sporting goods stores and local ski shops. 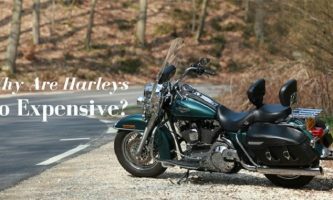 So, what should you expect to part with to get the high-quality gloves you deserve? 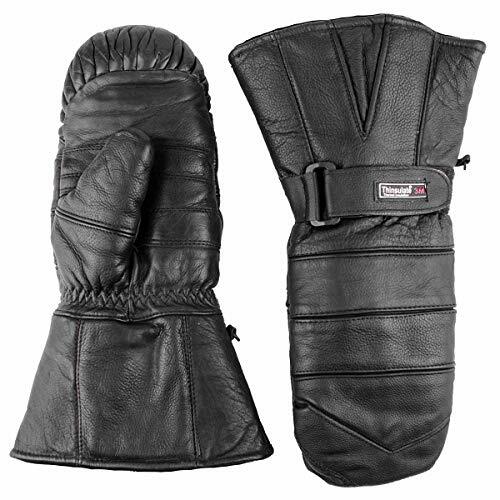 The price range for the best snowmobile gloves varies widely – depending on the features you are getting. That said, the gloves described in this review are affordable. 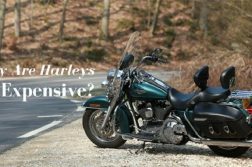 However, a quick search on the internet will show you brands that are pretty expensive.The bottom line with snowmobile gloves is that you will typically get what you paid for. As such, winter gloves with extra nice to have features and higher quality materials will end up costing more. However, intermediaries, advertising, and others add unnecessary expenses to the final price. Consequently, you should still be able to get exactly when you need for less than, say, $50 or $100. One of the ways to ensure that you are getting the best performance and value within your price range is by going through every online review and product description for the different gloves you have added to your shortlist. 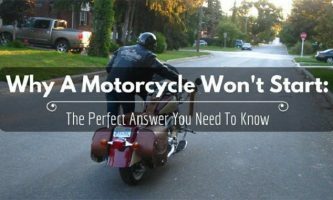 This guide seeks to reduce the hassle that comes with trying to identify the best snowmobile gloves. This case is especially with regards to quality, design, and materials. 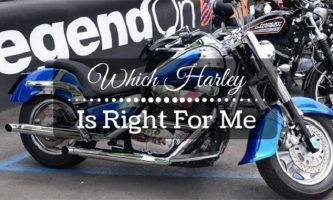 There are so many options out of there in the market that everything can get a bit confusing. 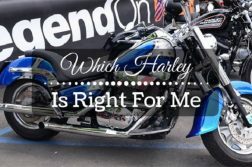 With this guide, and the reviews posted below, you should have found a couple of quality options from which to take your pick. For serious firepower on the next snowmobiling excursion, you should try and use a good pair of disposable nitrile gloves. Add a thin-layered pair of gloves over the top, and you’ll get the professional-grade snowmobile gloves you have been looking for from different sources. If you can throw a pair of heated gloves into the mix, you will be suitably impressed to learn just how warm they will keep you. In most situations, using this arrangement means that you will probably feel the extra warmth. 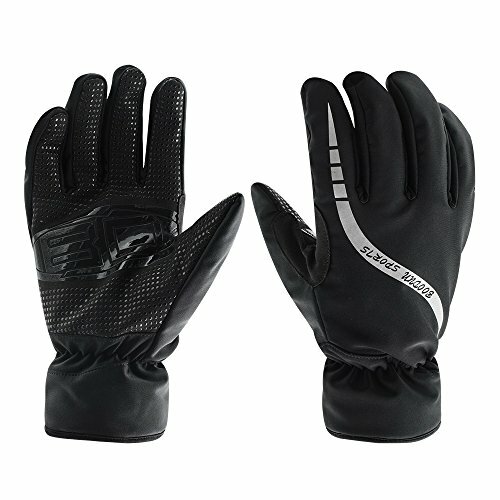 That said, our personal recommendation would be to get the Gordini Men’s Promo Gauntlet Gore-Tex Gloves. Resilience, quality, and features all work hand in hand to deliver the same level of insurance, water resistance, and many other benefits. 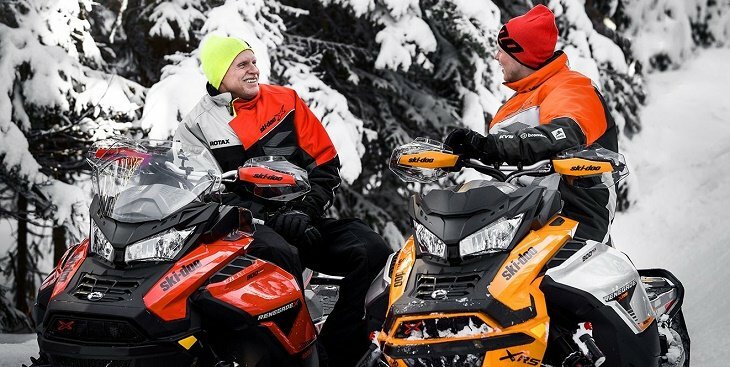 Over and above everything else, finding the best snowmobile gloves shouldn’t be hard. 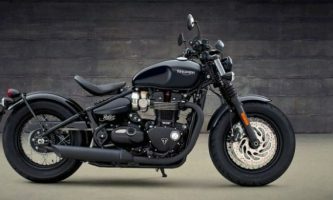 As long as you know where to go for your shopping, you have highest quality features in mind, and you are ready to spend a little more to get top quality products, then you should have an easy time scouting for and getting the best snowmobile gloves.